The Yankees acquired 36-year-old starter J.A. Happ from the Blue Jays on Thursday, a move that some thought was obvious for the Yankees to make: The lack of impactful starting pitching on the trade market this year, coupled with Happ’s effectiveness vs. the AL East in his career, seemed to make sense for everyone — as long as Toronto came to the table fairly, which it did. Given what the Yankees had to give up for Happ and the way they have scuffled as of late — though some of the onus can be placed on the offense — it’s unfair to knock them for this trade. Obviously, they want to win this year, and this move potentially helps them achieve that. Is Happ really a difference-maker, though? The better question may be what Happ has been vs. what Happ is. This year he has pitched to a 4.18 ERA, which has been inflated by 19 runs (14 earned) in 17 innings in July. 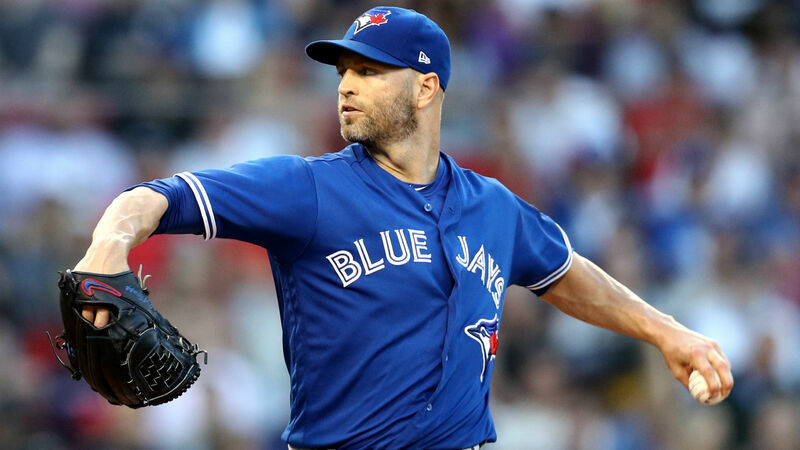 If you include his last two starts in June, Happ has allowed 26 runs (21 earned) over his last 31 1/3 innings (six starts), including a start vs. the Bombers in which he was hammered for six runs in 2 2/3 innings. He didn’t help his trade value much over that span, but the Yankees are banking on what Happ has been vs. the Red Sox and in the second half of his career. Happ has pitched to a 2.98 ERA vs. the Sox in 19 lifetime appearances (18 starts). He was shelled in his last start against them, giving up five runs — none earned — on five hits in 3 2/3 innings on July 12, but he pitched seven innings of one-run ball with 10 strikeouts in Beantown on April 24. The good news for Yankees fans is that Happ tends to pitch better as the season goes on. He has a 3.71 lifetime ERA in August and is even better in September/October, with a 3.12 ERA in 46 starts (49 appearances). — Sonny Gray, acquired at the 2017 trade deadline, has been consistently inconsistent in 2018, pitching to a 5.34 ERA (4.42 FIP). He has had eight starts in which he allowed four or more runs, and 11 starts of three runs or fewer allowed. — Domingo German, who showed flashes of promise at times, was pulled from his start at Triple-A on the same day Happ was acquired; his velocity was down, potentially signaling an injury. — Jordan Montgomery, the original second left-hander in the rotation with CC Sabathia, is out for the year after undergoing Tommy John surgery. The Yankees’ future remains intact after this deal, too. Justus Sheffield appears to be next in line to try to solve the team’s pitching issues, but it’s unknown what role, if any, he’ll have in 2018. Scouts have tabbed the left-hander a future star, but innings limits and careful handling of his arm probably will limit him to a bullpen role in the majors this year, meaning the Yankees’ next best pitching option was outside the organization. It’s a good trade for the Yankees, who shored up the back of their rotation, but their work shouldn’t be done. They should still try to find a way to upgrade their staff, even if it gets bloated. The Yankees gave away what amounted to be spare parts, but they’ll be much more than that to the Jays. Brandon Drury offers a third-base solution for Toronto beyond this year. He and his new club are hopeful he can put his migraine issues in the rearview mirror. Drury was in a tough spot with the Yankees. He was their 2018 starting third baseman until Miguel Andujar caught fuego in mid-April and didn’t look back. Coupled with migraines that sidelined him for more than a month, Drury became the odd man out in the Yankee infield. Still just 25 and under team control through 2022, he can become a long-term piece for the Jays. Billy McKinney, 23, boasts a career .836 OPS in 106 games at Triple-A (through July 25), which means he could be a future outfield answer for Toronto. He was a first-round draft pick of the A’s in 2013. There’s not much to say about the deal for Toronto other than “Good job.” The Jays have had a bad year and are building for the future. Acquiring two controllable players in Drury and McKinney will go a long way toward keeping the payroll under control as they rebuild. This is one of those rare trades where both teams benefit. Hooray for all.